We don’t often hear about the benefits of Vitamin C. It is common knowledge that Vitamin C helps prevent colds and it comes in several forms. Today, we will share why Vitamin C is also important for your skin and the benefits it provides you! 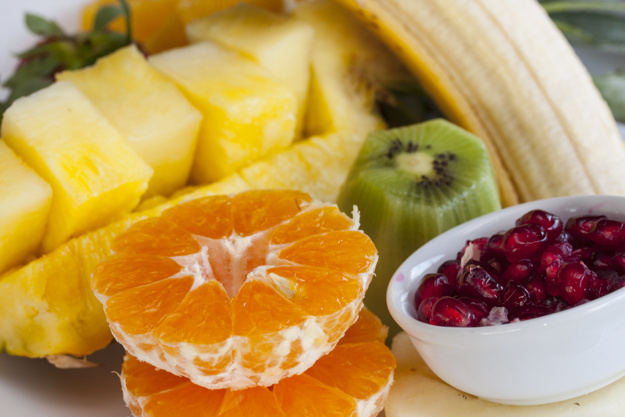 Vitamin C is one of the most important vitamins to include in your diet on a daily basis. It’s one of those essential items your body can’t create or store on its own but critical for numerous functions. Vitamin C is a key part of the body’s production of collagen and a potent antioxidant to help rejuvenate aged and damaged skin. The benefits also include making your skin firm, flexible and healthy. Getting it topically is also a great way to boost your intake. You’ll get the vitamin C directly into your skin to help with the collagen production. Here are all the benefits of using topical vitamin C products and how to get it on a daily basis. Vitamin C is an antioxidant, which is good news. It can donate electrons in order to neutralize free radicals created in skin after oxidative stress. Oxidative stress = sun damage. So while vitamin C can’t protect skin like an SPF can, it can minimize the damage you can’t see. Vitamin C is one of the factors in stabilizing and creating collagen molecules, meaning that it’s one of the most reliable anti-aging ingredients on the market. Some research also shows that vitamin C can also increase the quality of the collagen created in the body. Since vitamin C can aid in skin’s ability to heal itself, it should be your go-to when looking to reduce red and brown spots. The anti-inflammatory properties (of interest if you’re struggling with acne or rosacea), and also provide you with even-toned skin. 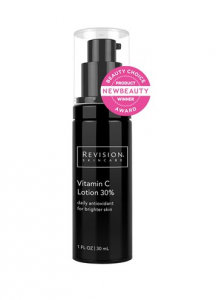 There are many products on the market offering Vitamin C. My favorite is Revision Vitamin C Lotion. Formulated with the most advanced form of Vitamin C for healthy, radiant skin. The 30% formula contains one of the strongest concentrations of Vitamin C available. 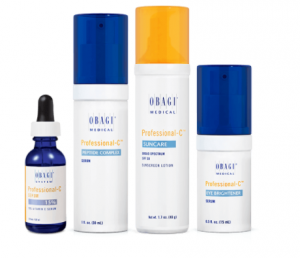 Another great option is the Obagi’s line of Professional-C™ Products formulated with Vitamin C to help address the appearance of aging skin.